All aboard a yacht cruise via Boatsetter, a peer-to-peer boat rental marketplace that allows guests to choose from a variety of experiences, like the Live Like a Star sunset cruise from Los Angeles' Marina del Rey. Sharing made things more peaceful when we were kids. Our parents told us it was good manners to share our toys, and it stopped us from fighting when one of us had something the other wanted, and sometimes we even got rewarded, with praise or even a treat, if we shared. But why didn’t most of us continue this sharing model into adulthood? The truth is, there’s plenty to go around, and in an ideal world, if we just let others use our things when we aren’t using them, then no one would be without. Imagine the resources we could save by not buying stuff that we only need occasionally. Consider the freedom of using things for which you do not have to assume risk and responsibility or need to store, maintain, register or license. It seems so logical, but until five years ago, there was no such thing as a share economy. Now, you can share just about anything, and just like when we were kids, everyone wins. It started with Uber, the first ride share service that allowed just about anyone with a street-legal car to share their ride, and to make money doing it. The idea was to give a ride to people who were already going your way, and those passengers would compensate you, essentially sharing the cost of the gas and upkeep on your car. It was such as great idea, ride share companies like Lyft, Opoli and others soon got on board. Of course, it ended up that more cars, not fewer, ended up on the road, and Uber and the others became basically cheaper and less-regulated taxis. But the sharing economy was born, and a new mentality emerged, whereby society began sharing all sorts of things, and sharing opened up new realms of possibilities and experiences that continue to evolve into a new way of living for tens of millions of people. Not only does sharing eliminate the need for ownership of expensive things that we only use occasionally, it provides unique opportunities between people of all backgrounds, and in some cases it can be an equalizer between the have and have nots, and it can open up new markets where none existed. Airbnb allows people to sublet or share their homes, providing a new source of income for hosts and opening up affordable travel to people for whom the cost of hotels was prohibitive. In some cases, Airbnb might be the only accommodations in remote areas where there are no hotels, bringing visitors to previously off-the-grid destinations. Even travelers with ample budgets often opt for Airbnb accommodations, preferring the privacy of renting of an entire home, the experience of staying embedded in a cool neighborhood, or the companionship of residing with a host, who might share a cup of coffee in the morning or even take guests on a shopping outing, site-seeing tour, surfing adventure or other paid experience. Soon riffs on home sharing evolved, like Boatsetter, a peer-to-peer boat rental marketplace which connects boatowners with guests who want to enjoy an adventure on the water. 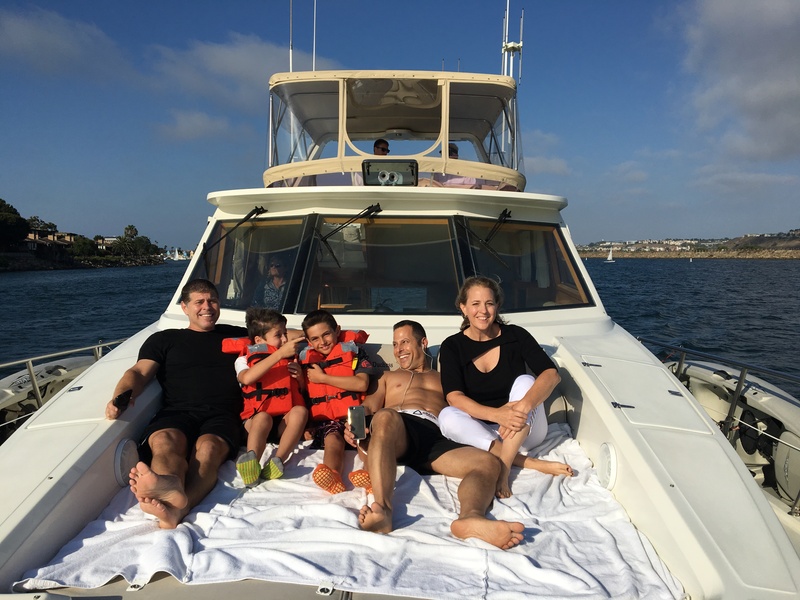 The owners can invent experiences in San Francisco, Los Angeles, Miami and Barcelona, where boatowners host guest on experiences such as deep sea fishing, whale watching or a Live Like a Star party boat ride on a yacht or even a sleepover on a boat with breakfast included. Though not quite as glamourous as a yacht cruise, TravelCar, which has a fleet of hundreds of cars available in Los Angeles and San Francisco, offers users the opportunity for travelers to rent a car at a discounted rate from a private owner, usually while the owner is traveling. The host receives a portion of the rental fee and gets free airport parking and a car wash in exchange for lending out their vehicle, and if they host as part of TravelCar’s monthly program, TravelCar provides routine maintenance, such as oil changes, wiper fluid, and tire rotation. Of course, you don’t have to own a home, boat or even a car to be part of the share economy. Pavmint allows those with parking spaces to lease them out short- or long-term. In Los Angeles, where the company recently launched, already more than 4,000 hosts have signed up to loan out their driveways and unused office building parking lots. Besides bringing in a little spending money to the hosts, utilizing empty parking spots and offering guaranteed parking to visitors has helped boost business in city neighborhoods, like Hollywood, where safe parking – or any parking — is scarce. The success of Uber, Airbnb and spinoffs has spawned many other types of share services, particularly in large cities, where it seems every share company advertises to be the “Uber of XYZ,” like Bird, a Southern California share service that rents stand-up electric scooters through a mobile phone app, which allows riders to find and turn on scooters that are spread throughout Santa Monica, Venice and other neighborhoods in Los Angeles and San Diego, for a cost of $1 per ride and 15 cents per minute. For more traditional two-wheelers, there’s LimeBike, a smart bike sharing company with more than 35 regional locations in cities and college campuses across the US including Seattle, Washington D.C., Dallas, and Miami. Even Uber, through its subsidiary Jump Bike, has gotten into the bike-share space, offering hosts the opportunity to rent their bikes in San Francisco, with a fleet of 250 bikes and growing, and plans to soon to expand into other cities. With all of these sharing services, there are pros and cons, for both hosts and users. While all of the hosts and their properties are supposed to meet certain standards, sometimes they all short. Likewise, those who use hosts’ property are bound to rules of conduct and care that they do not always honor. There are risks to personal property and personal safety in some cases, that both parties accept, which is stated in the fine print of the terms of service to which they agree before participating in the service. While there are isolated horror stories, with the extreme of Uber driver murders and reports of Airbnb thefts and vandalism, for the most part, sharing works. The benefit of sharing is not just new sources of passive revenue for property owners and wages for many people in need of flexible hours – the old retort when someone in LA claims to be an actor, “Really? What restaurant?” is now, “Really? Uber or Lyft?” – it is also a cleaner environment, a healthier lifestyle, accessibility of affordable transportation and accommodations for travelers, and the advent of new ways for us to interact with each other as a society. When our parents encouraged us to share as kids, our playdates were more enjoyable and peaceful, and everyone was happier. It has taken us generations as a society to learn that truth that we accepted as young children. Sharing is caring. When we share, we all benefit, in untold and immeasurable ways. As we continue to invent new ways to share, we expand our economy and our minds, and we might not just make some extra money but make some friends for life. Writer, blogger, PR pro — traveler, tech geek, health and wellness believer, parent. Wrote my first book at age 5, still living my dramatic autobiography.